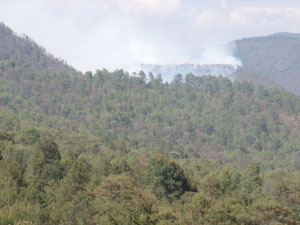 Two large fires have burned forests nearby. 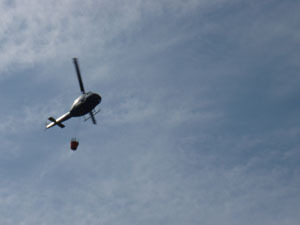 Helicopters hauled water right over the Boque up to the hills above and firefighters. The fires seem to be nearly out now and we are hoping for rain. Last year the fires came onto the property here and fire fighting was very tiring. You are currently browsing the News and thoughts from the Bosque Village weblog archives for May, 2008. Entries (RSS) and Comments (RSS). 18 queries. 0.113 seconds.